Web designing applications for smartphones provide lots of convenience to designers. Designing applications help designers to stay connected with their clients and carry out basic tasks even when they are away from work stations. Though there are plenty of designing apps available in app stores, not all of them are worth keeping. Web designers can have tough time in finding functional apps. Listed below are five premium, must-have designing applications for smartphones. The name itself is enough to indicate its function. This application gives you names of unknown fonts. Web designers frequently come across beautiful fonts in online ads, magazines or other websites which they might wish to use in their work. You can click few photos of texts right from the app and upload it. WhatTheFont will give you font details in just few seconds. 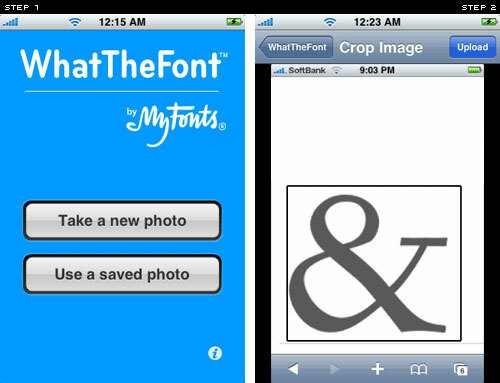 It is also an excellent app to find perfect fonts when you’re working on headers or logo design. It is extremely easy to view source information on desktops and laptops. 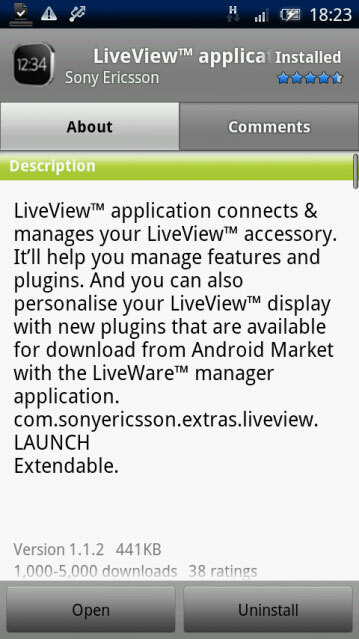 But with this application, designers can now view source information on smartphones too. 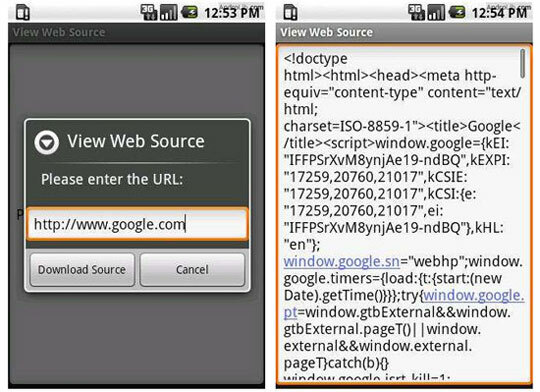 Besides viewing source of a site, designers can also select and search for text and copy and paste HTML from the source. This application has a share feature in the menu, which can be used to get page source of a webpage that is currently being viewed in the browser. Individuals providing website development services have to keep their clients updated on their works and have to keep themselves updated as well. 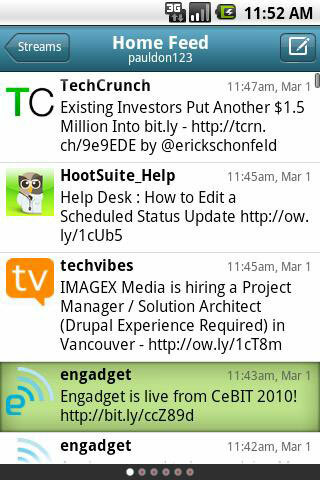 HootSuite helps such individuals to schedule updates and send them to important people while on the go. You can manage your Twitter and Facebook accounts and view your clients’ activities on LinkedIn. With HootSuite, you can translate your messages in more than fifty languages. This helps you to communicate with your overseas clients without creating communication gaps. their Mac and quickly iterate their concepts. This remote screen viewing application has also proved to be extremely handy in creation of prototypes, demos and quick simulations. This app is also considered to be helpful in responsive web designing as the screen size automatically adjusts for the device thereby enabling web designers to view their work on smaller screen size and design sites accordingly. Photo editing is one of the most important aspects of web designing and none other software can do this task better than Adobe Photoshop. Developed by Adobe developers, Adobe Photoshop Express is the miniature sized app built to help developers with quick editing of photos and other web content. 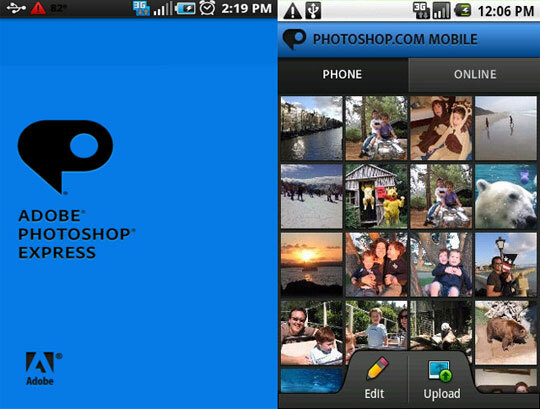 It enables designers to edit photos on-the-go. The application houses almost all major editing options required by designers like auto-fix, cropping, straightening and one-touch filters that are found in the main PC software. Its ‘Borders’ feature allows you to select from more than 15 frames and borders. If you are willing to pay few extra bucks, then you can get rewarded with other premium features like Looks Pack and Noise Reduction. The above mentioned applications perform different designing tasks. The best thing about having all these five designing apps is that they cater to almost all necessary requirements of a web designer. Starting from collecting information about fonts and working with source codes to providing updates to your clients and photo editing, a web designer can carry out all his basic tasks. Applications like HootSuite and WhatTheFont can also be incorporated in web application development company with BYOD policy. While the latter can be used to gather ideas and information, the former can be used for sharing those creative ideas and updating other clients about the same. This article is written by Nitin Soni, a web developer associated with Cygnet Infotech, an offshore web application development services provider company.